Having graduated from Sheffield Hallam University in 2018 with a BSc Honours degree in Building Surveying, Yasser joined Barnsdales in Jan 2019 as a Graduate Building Surveyor. 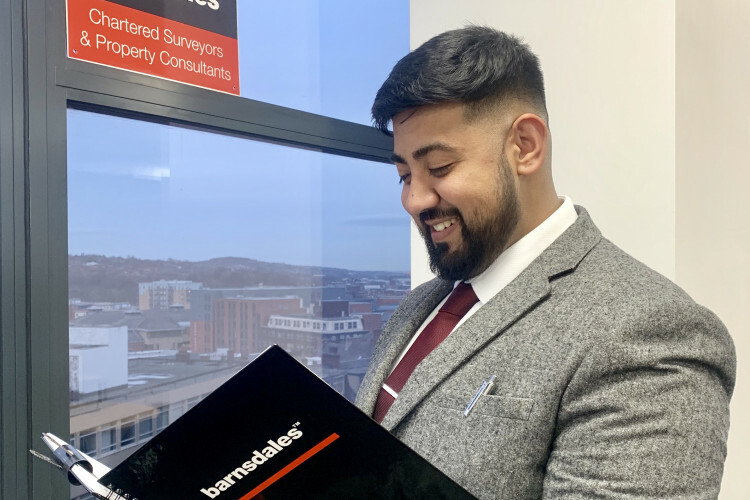 Prior to joining Barnsdales, in 2016 Yasser worked for Your Choice Properties LTD (Bradford) as an Estate Agent and in 2018 at Burngreave Building Company LTD (Sheffield) as an Assistant Quantity Surveyor. Having a keen interest in the property industry, Yasser decided to expand his experience and knowledge in his chosen career path with Barnsdales. Yasser is based in our Sheffield office and works closely with Gary Thompson in our building consultancy team, his specialisms include an array of work including survey and design, structural surveys, dilapidations, legal matters such as leases and party wall awards. Yasser is also becoming involved in global organisations such as YEP (Young Entrepreneurial Professionals in the property industry) and is constantly growing his client base. Yasser is aiming to sit his APC in 2020 in order to become a Chartered Building Surveyor to expand on his current qualifications. Yasser lives in Rotherham and outside of work will be found in the gym or continuously working on his family owned rental properties; expanding his reach within the property sector. Yasser is also fanatical about cars both classic and modern and is always keeping this love alive!